In quite sensational reports gathering momentum, former Chelsea boss Antonio Conte is being talked about as a solid frontrunner to replace another former Blues boss in Jose Mourinho at Manchester United. Bleacher Report via Italian news source Corriere dello Sport states that Juventus’ General Manager Giuseppe Marotta is leaving the Old Lady at the end of the month and is tipped to become the new Sporting Director at Old Trafford. This has led to speculation that Giuseppe Marotta’s potential appointment could lead to Antonio Conte being reunited with his former colleague at Old Trafford, in what would be a sensational appointment considering the way that Conte and Chelsea parted company in the summer. Zinedine Zidane remains the favourite, but it’s Antonio Conte’s name that is being mentioned more and more by the club’s hierarchy in the past days and seeing as he is available here and now – Conte returning to the Premier League could very well be on. Antonio Conte may have led Chelsea to a Premier League title in his first season, but things went horribly wrong in the second season – outing Diego Costa via text, finishing fifth in the league and seemingly losing the trust of some of the club’s top stars including David Luiz and Willian. 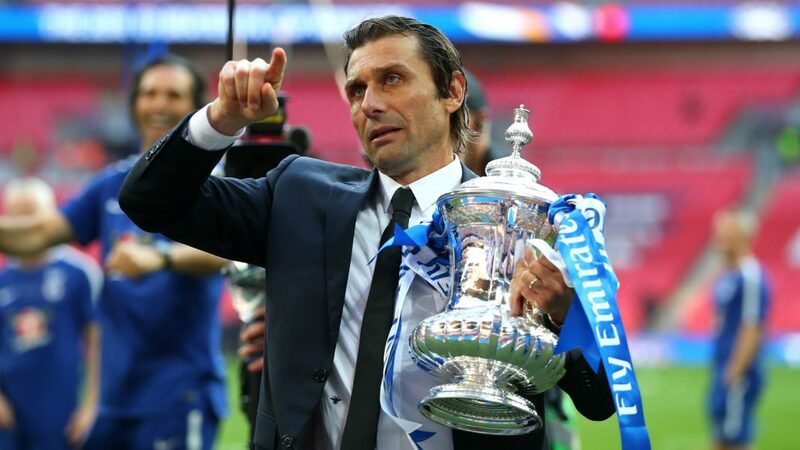 The Italian did put a little gloss on his final game with the Blues by winning the FA Cup, against Man United back in May. With the kind of season United are having, the news that Conte could be returning to ‘save’ their campaign will surely raise a wry smile to many Blues fans, now very much enjoying life under Maurizio Sarri and his attractive, and so far successful style of play. Ironically if this shock appointment does come to be, then this will be the second time that Antonio Conte replaces Jose Mourinho at a club – having done so at Chelsea.